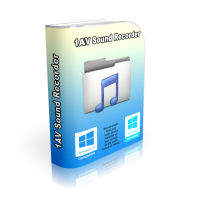 1AV Sound Recorder is a sound recorder with the ability to capture audio from any source available on the PC. 1AV Sound Recorder is a sound recorder with the ability to capture audio from any source available on the PC. With 1AV Sound Recorder you can record your voice, you can record what you hear, and you can record audio from external devices connected via Line-In.Here is a list of 1AV Sound Recorder capabilities: sound recorder software for pc, audio recorder software for pc, mp3 audio recorder software for pc, sound capture software, audio capture software, voice recorder software for pc.